Some Physics Experiments with Arc Attack’s Joe DiPrima & @thephysicsgirl @DrJoeHanson @PBSDS « Adafruit Industries – Makers, hackers, artists, designers and engineers! 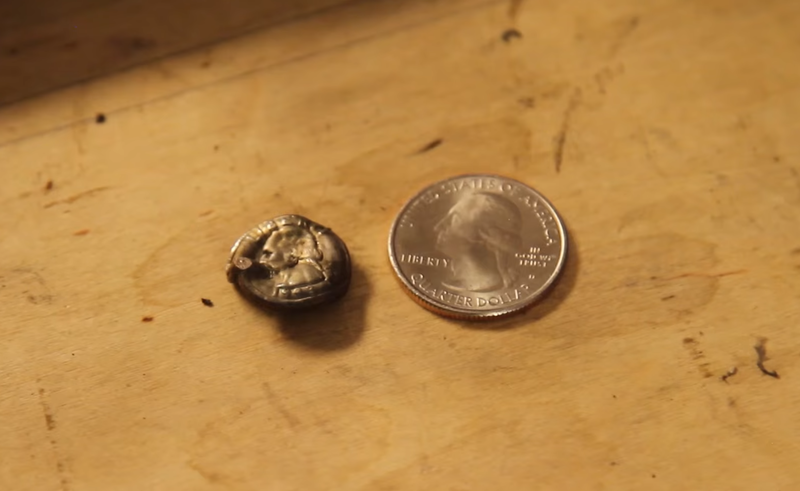 Here’s a fun video from The Physics Girl featuring Arc Attack and some of their homemade science experiments including shredding an aluminum can in half using electromagnetism and altering the physical shape of a quarter inside a double ‘boom boom’ chamber! Watch a soda can rip itself apart in a fiery explosion at 11,000fps with a Phantom high speed camera. Running a current through a coil, produces an electromagnet. Turn up the voltage in this experiment, and make that current strong enough, and your electromagnet can rip a soda can in half. Or rather, make the can rip itself in half! This video was filmed at Arc Attack Studios in Austin, TX with Joe Hanson, Joe DiPrima, John DiPrima and Darren Dyk.